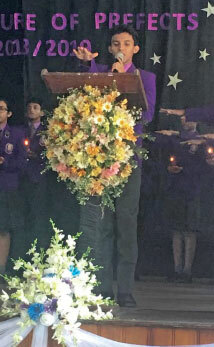 ‘Self-belief makes the mind secure which leads to a powerful character’, says Head Boy of Leeds International School, Matara, Shanuka Gamage. 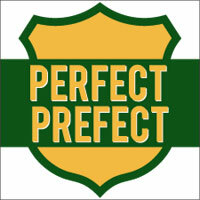 Perfect Prefects features Gamage who is brave when he needs to be brave and compassionate when he must be compassionate. 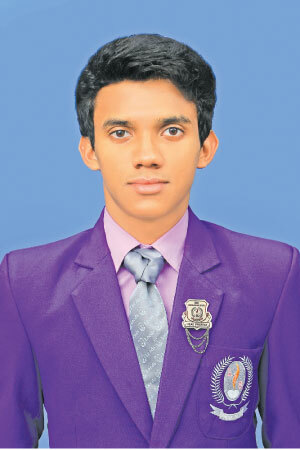 Gamage is always reminded of a quote –‘Some Leaders are not born, they are made’. This is his predominant quality. When he needs to be brave he rises to the occasion and is compassionate when the situation requires such a man to step forward. “A major long term goal I have is to start or fund a non-profit charitable organization for the wellbeing of stray dogs in Sri Lanka. As a dog lover, it has been a childhood dream of mine. Although there are other issues to be looked into in our country concerning human beings, we should not forget about the animals that suffer and require our assistance. Animals, unlike humans, do not have the ability to communicate properly and express their needs. Therefore, they require individuals to stand up and care for them while being their voice. I am also strongly against any form of animal trade and abuse since it is a form of violence that should be prevented at all costs. The way humans dismiss the lives of animals as worthless is unacceptable and being the younger generation, we should try our level best to cause a positive change,” explained Gamage. As mentioned before, he is brave when he needs to be brave. Part of this may indeed be because of his brother Shaveen who he calls the biggest inspirational figure in life, who was a former Head Prefect. In his words his brother has helped him see the light in many tough situations, giving advice on how to react to and handle a problematic activity. “Moreover, he is a figure that defines the quote ‘Some leaders are not born, they are made’ because when the going got tough he rose to the occasion to prove his worth. 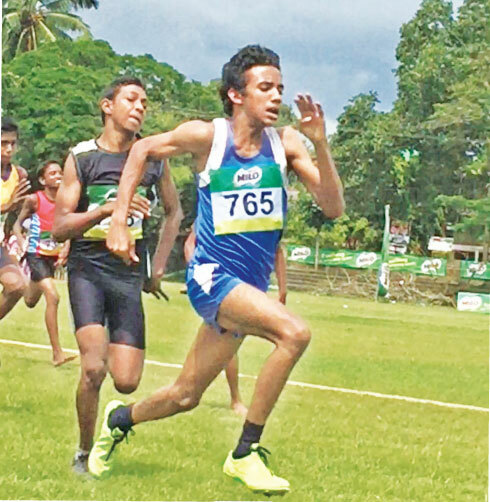 I have been following a similar path to his, not to be like him, but to achieve a better version of who I am,” said Gamage. Gamage believes in being strong without showing weakness, a belief which has truly enhanced his leadership capabilities. He relishes a challenge as he truly believes that the more obstacles you face the stronger you become. He shows very little fear, in fact, none at all. He does not give up halfway. He completes the task no matter how hard it is. There is always a solution and he will find it. “Self-belief makes the mind secure which leads to a powerful character. To become a good leader or when going out into society, the key to success is to show no weakness. Everyone has various flaws since nobody is perfect. However, for people to respect and follow you, one should learn to overcome all fears and weaknesses, as this will strengthen your character. On the other hand, learning to listen to and consider other’s opinions is important as well, because this brings together various ideas which help to form a better solution. After considering all these, for you to become a true leader, the most crucial thing to do is to believe in yourself,” pointed out Gamage. Gamage stated that spending over 14 years at his school, Leeds Matara has helped him become a strong leader with understanding and patience. The students are given the opportunity to be themselves at Leeds with the chance to step forward and express their uniqueness. 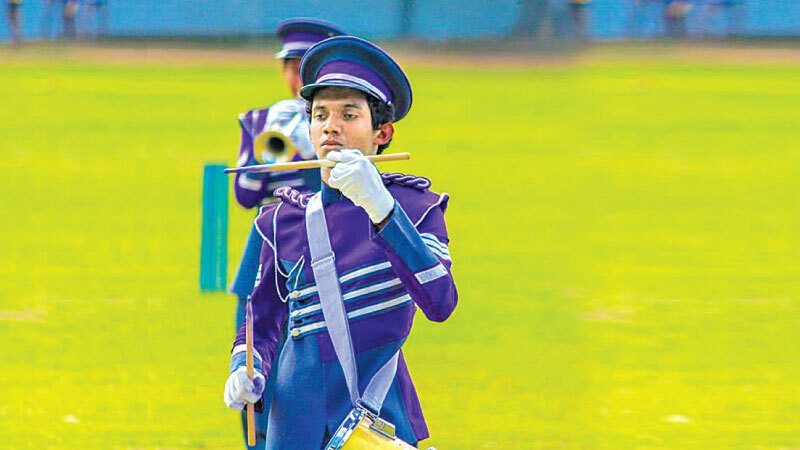 At Leeds Matara, their skills are brought out, and they have been taught to use these skills accordingly in life which forms individuals who are independent and bold. The teachers are always willing to assist any student anytime even if they have to go out of their way to do so. In addition, the school Prefect Board including the teachers in charge, form a team that always stand together and this has helped Gamage immensely. “I will be studying Engineering in University with the hopes of specializing in Electrical and Electronic Engineering (EEE). I always like to dream big since it helps me retain a certain level of confidence. I wouldn’t be handling the role as Head Prefect, if it weren’t for the trust that my school Principal Gagana Amadoru has placed in me. I am tremendously grateful to every person who has touched and made a change in my life, pushing me forward, making me the person I am today,” added Gamage. Gamage laments that many people tend to be self-centred without taking the time to help anyone in need. This weakens the bond and trust between individuals. Gamage firmly believes that sparing a few moments for someone else can make a huge difference. “I believe that sparing a few moments of our lives to help someone is the change that is required in today’s society. It is something that can’t be forced, as it should come from within. Showing respect and care towards other people is one of the easiest things that we can do. If this simple action is done by us all, it would have a massive impact on society,” said Gamage. Mahatma Gandhi’s message has certainly influenced him and made an impact on him. “Mahatma Gandhi, one of the greatest leaders to have ever walked the Earth, has always fascinated me due to his non-violent resistance towards the British in India, and his opinion that “only truth will prevail”, I will always remember. President of Russia Vladimir Putin is also another powerful leader today. Under his leadership, Russia has been impacted powerfully and so has the world. His methods of leadership have been incredibly successful although they may be controversial,” said Gamage.